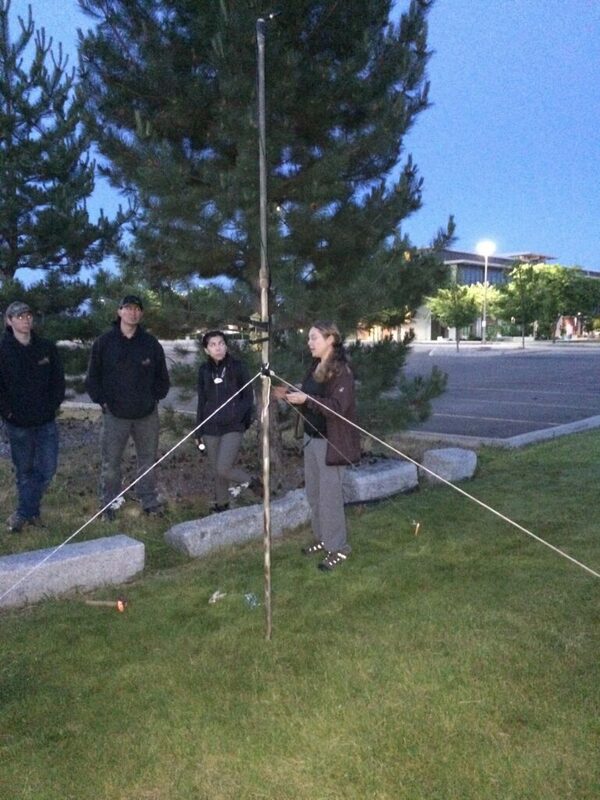 I was lucky enough to attend a training in Spokane taught by Cori Lausen and focusing on how to deploy acoustic equipment and identify specific bat calls. While most bird enthusiasts can walk outside and easily hear and identify an American Robin, bat biologists have to get creative hear bats. Bats vocalize at “ultrasonic” frequencies, which means the calls they make are higher than what the human ear can detect. Interestingly, young girls have the best hearing of any humans and can hear up to 20 khz. To put this in perspective, most American bats broadcast from 16 khz up to 100 khz. When we think of bats vocalizing, we usually think of echolocation. Bats use echolocation to navigate and find food in the dark by producing “screams” at particular pitches. 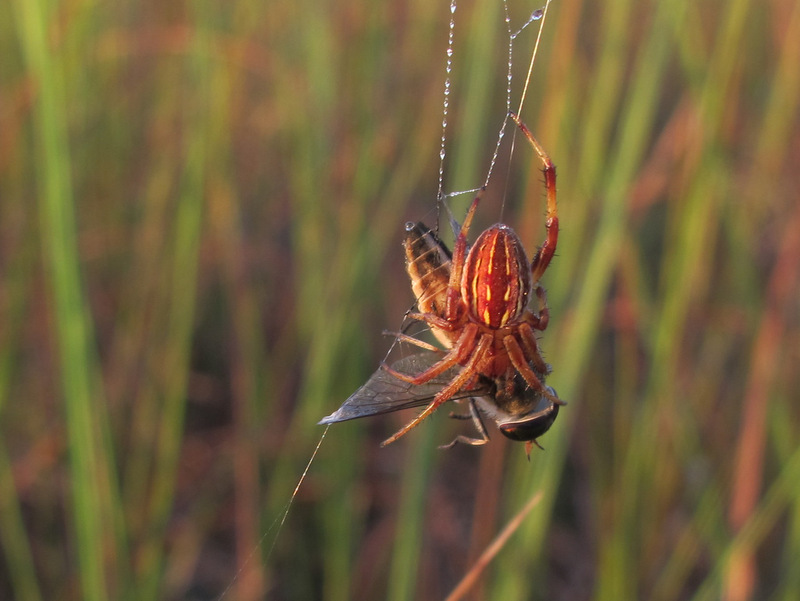 These screams bounce off prey or obstacles and return to the bat as echoes. From these echoes, bats can determine the size, shape and distance of the object. The old joke “blind as a bat” does not apply here. Although they operate in almost complete darkness, bats can use echolocation to detect tiny mosquitoes or swerve out of the way of individual leaves with breath-taking dexterity. Bats can do this by producing sound up to 140 decibels! For comparison, humans feel pain from sound at 120 decibels. Bats in the Pacific Northwest are able to produce such loud “screams” without damaging their sensitive ears by temporarily disconnecting their ears, rendering them deaf while they vocalize. This gives a whole new meaning to the phrase “selective hearing”! 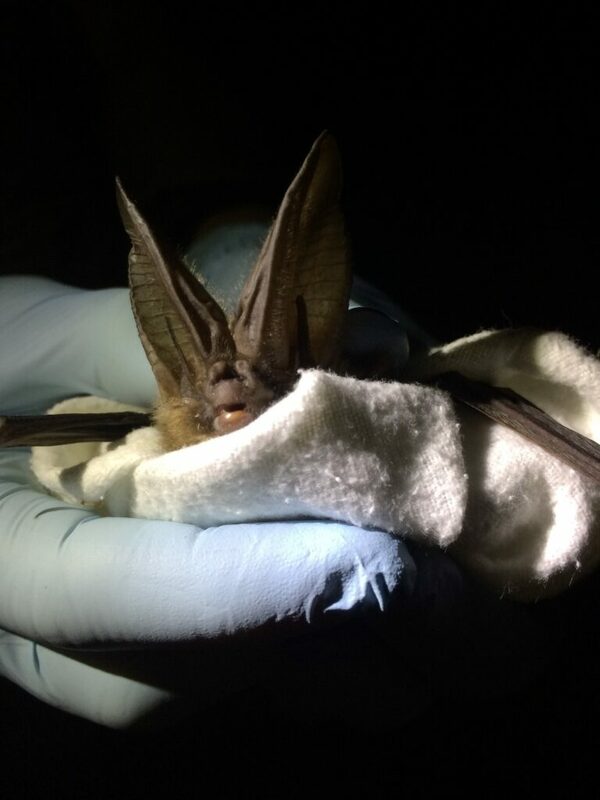 This is a Townsend’s Bat, captured by Rochelle Kelly. Notice how large the ears are! These enormous ears allow them to hear tiny whispering echoes of moths in the night. 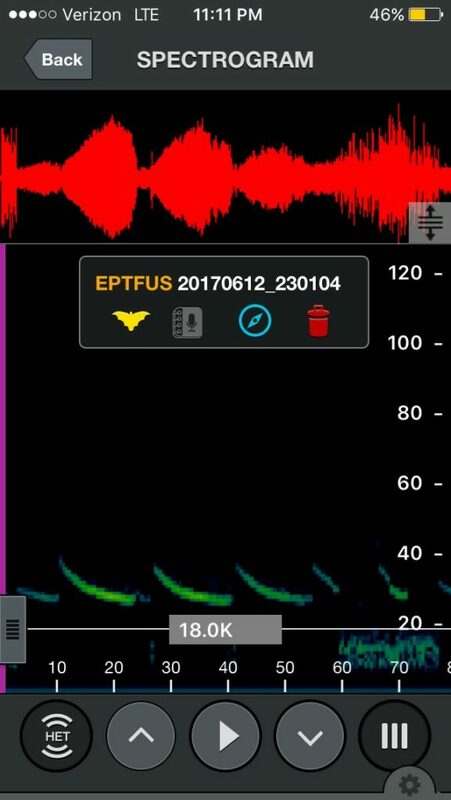 Individual species of bats “scream” at specific frequencies or in regular patterns that, when recorded, allow bat biologists to monitor sites for bat activity and guess at the species that are there. While this was a relatively straight forward identification, many things affect bat calls and our ability to identify them to species. For example, bats use higher frequencies when in cluttered situations, such as dense forest or when closing on prey. More than one bat can be recorded at once. Many species broadcast on similar frequencies, making it difficult to differentiate between two distinct bats. After a week of intense training, I can safely attest that acoustic identification of bats requires an enormous amount of patience. However, it is still a powerful tool for bat science. I hope that I can use my new skills to investigate bat activity in Western Washington and contribute towards bat conservation! Many thanks to the Washington Chapter of the Wildlife Society for their generous grant, without which my participation in this training would not have been possible.